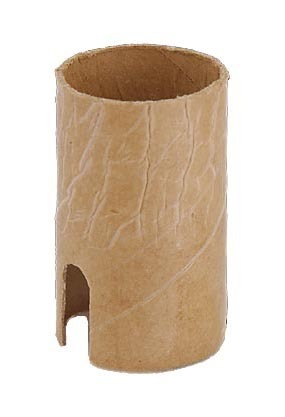 Long Paper Insulator for Turn-Knob Socket to fit standard (medium-size) Electrolier socket interiors. One-slot insulator is intended for use as a replacement for worn or missing insulators. 1 1/16" top inside diameter, 1 1/8" base inside diameter, 2" height. No reviews yet for the Paper Insulator for Turn-Knob Electrolier Socket.